It’s a truth we don’t often admit, even to ourselves: we don’t always like our kids. I can hear the guilt in parents’ voices when they say, “Sometimes I really don’t like my child. He’s a pain, he argues with me all the time and he’s just not fun to be around.” Or maybe your child just isn’t the person you thought he would be: perhaps he’s not academic or outgoing enough, or maybe he likes to complain and is very negative. It’s important to accept the fact that you won’t always like your kids—and they won’t always like you. This is especially hard for parents of difficult, acting out kids to grapple with. But the fact is, you’re on your way to less guilt and a better relationship with your child when you can acknowledge your feelings. You can’t change a tiger into a leopard; these are your child’s stripes. I’m very empathetic to parents in this situation because I recognize how painful it is. It’s important not to feel guilty about it because we all have expectations of what our children will be like, and it can be very painful when they’re not what we expected. You feel let down, and then you feel guilty for feeling that way. But remember, as James Lehman says, you have to learn to “Parent the child you have, not the child you wish you had.” Facing the truth is always an important first step. The first thing to do is ask yourself, “What am I feeling and why?” Take a minute to pause, step back and think about it for a moment. Maybe you don’t like her because she’s so different from you. Maybe you don’t always like your child because she acts out, is defiant and oppositional and causes havoc in your home. Maybe her behavior is stressing you out and wearing you down and causing friction between you and your spouse. All understandable reasons to feel dislike towards your child. Why would you like someone who treats you poorly, is contrary or behaves in obnoxious ways? But if you look closely, disliking your child is more about you than about her because these are your feelings—your reactions—to her. And in turn, those reactions may even contribute to your child’s unlikeable behaviors. That’s the good news, since the only person you can change is yourself anyway. Here are a few things that you can do to build the relationship and like your child at least most of the time. Acknowledge and accept your feelings. Don’t push them away because you think it’s bad or wrong to dislike your child. You don’t have to like your truth; you just have to own it. Recognize what’s causing you to dislike your child. If it’s because he’s different from you or because he’s not how you want him to be, then manage your own expectations. Accept your child for who he is and pay attention to his strengths, rather than focusing on what you think are his weaknesses. Remember, it’s very easy to forget that it’s the behavior you don’t like, not the whole person. Get to know who your child is and what he needs; find out what really makes him tick, rather than who you want him to be. Your child can read it if you are disappointed in him; his acting out and negative feelings towards you may even increase because of it. 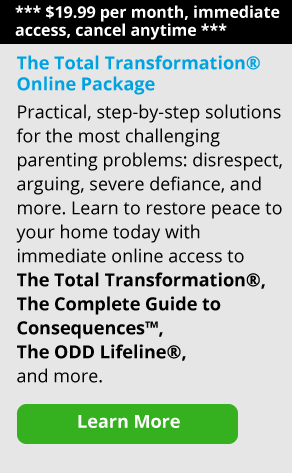 If you’re feeling dislike because of your child’s defiant behavior, is there any way you or others in your family are contributing to his behavior. Is he acting out other unresolved issues? Could your child be behaving poorly as a way to keep you and your spouse engaged with each other by focusing on a “problem child”? Is his behavior poor because no one is holding him accountable? Is he overly or underly focused upon in the family? Does he have too much power because you allow yourself to be intimidated by him? Do you always give in or never give in? Is your relationship with him defined around problems instead of just enjoying each other? Are your frustrations and unresolved issues with your own parents intensifying your reactions and actions with your child? Is your child somehow getting caught between your difficulties with your mate? Bring more playfulness and less seriousness to your interactions. Recognize that your child may be a problem, but he is not the problem: your interactions have been the problem. You’re a part of that, too, so stay focused on changing your role in the dance. Make special dates and times together. Listen to him—really listen. Accept him for who he is. Be yourself with him. Let him know your preferences, beliefs and values. Love him and stop worrying about him so much. And remember, loving him also means holding him accountable. Remember that your anger and resentment about feeling disappointed in your child creates more judgments and reactivity. Stop reacting and start responding more thoughtfully and positively. Power struggles often happen when you try to change someone else into who you think they should be. Just let go of the rope in that tug-of-war you’re in with your child. Don’t always try to get the last word or prove you’re right. Admit to your mistakes and struggles. You can start focusing on what’s right––not wrong––with your child today and begin building on what is good. Having a positive mindset leads to more positives. Build your relationship by letting your child know what you appreciate about him daily. Ask him to help you in things he’s strong in, so you build on his strengths. Spend time together without discussing the problem. One of the things I do is I actually get up in the morning and I really say, “Okay, not one criticism can come out of my mouth today.” I actually have to make that a very conscious thought and activity. It’s so automatic for some of us. And so half the time I really don’t even know when I’m saying something negative. So make a conscious effort. I think about the concept of appreciation or gratefulness as well, because sometimes I just take so much for granted. After all, in the heat of the moment, it’s easy to only see the negatives. But try to find the positives; notice when your child does something well. The more you look through positive lenses, the more you’ll appreciate what’s in front of you. Point out your child’s strengths and describe what you see. For example, you can say, “You looked like you were about to scream at your brother, but I noticed how you pulled yourself together and walked away. How did you do that? That was impressive.” So point out a very specific behavior and move it to positive instead of somehow making it into a negative. Get more focused on yourself than on your child in order to build and improve your relationship with him. Decide how you want to behave with him, no matter how he behaves with you. What if your personalities simply clash? Maybe your child is not a friend you would have chosen. Perhaps you’re too different or too similar. But look at it this way: You might not like your boss, but you still have to find a way to get along with her. Problems start when you carry around a lot of disappointment about somebody and try to change them in some way or another. That’s when that negative cycle—that push–pull—begins. Just own your part in it. I know it’s very hard for parents to apologize for their part when they really see it as their kids being bratty and obnoxious. And maybe your child is being obnoxious, but don’t wait for him to change. Instead, take responsibility to make those interactions different. You can’t change a tiger into a leopard; these are your child’s stripes. Now get to know him, appreciate him and enjoy his good qualities. Deal with your own issues and anxiety around it. If you absolutely can’t get over it, seek out therapy. Get to the bottom of what’s really bothering you and try to understand and manage your emotions. If you can calm down and come to terms with who your child is–and accept him and not try to change or fix him–then you’ll be able to relax. Here’s the paradox: if your child can feel deeply accepted for who he is, warts and all, he’ll be able to look at himself and change what he isn’t satisfied with. That’s when your child can feel good inside of himself–and blossom into the person he’s meant to be.